Hardwood flooring can go with any type of home décor. From streamlined modern apartments to shabby chic bungalows, you can find a type of wood flooring that matches your style. Ahead, find out more about matching flooring and décor. If you’ve already established a color scheme, choose wood flooring that complements your chosen colors. If you’ve chosen a neutral colored hue for the walls, you’re in luck—you can basically choose any shade of wood. 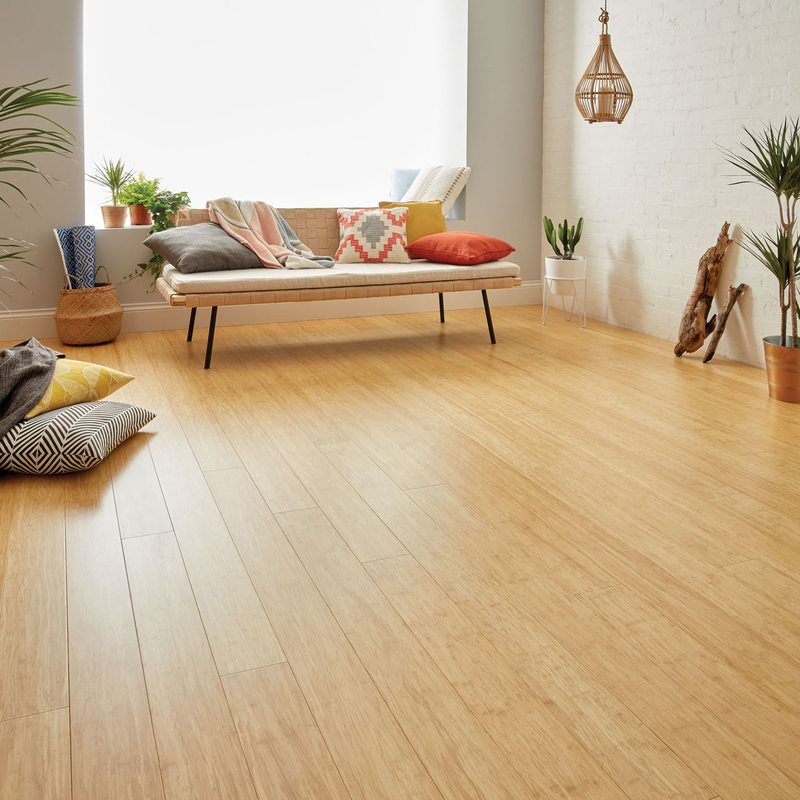 If your walls are white, beige, or gray, you can select wood flooring with orange, yellow, or gray undertones. If you prefer bold color schemes, however, don’t fret. When selecting your wood flooring, choose flooring that has a complementary undertone. If you have rust-colored walls, for example, look for wood flooring with orange-colored undertones. For maximum drama, you can also choose flooring that contrasts with your color scheme. If your wood has yellow undertones, for example, an eggplant-colored accent wall would provide striking contrast. Wood flooring may be a traditional style choice, but it can easily be incorporated into modern décor. If your home is filled with sleek lines and contemporary furniture, solid wood flooring can act as the visual ballast. Opt for dark wood planks with minimal texture and distressing, and pair your flooring with metallic accents, glossy fixtures, and geometric patterns. Wood floors are the perfect complement to a cozy, rustic home. The rustic style emphasizes a vintage, careworn aesthetic, which ensures that your wooden flooring will continue to be a beautiful addition to your home as it ages. When selecting rustic planks, look for wood grains with plenty of texture. The planks should look slightly distressed, marked with scuffs, scrapes, wormholes, and brushing. Textured rustic planks with an aged patina will look right at home amidst antique furniture and nature-inspired décor. If you’re in need of new flooring, you can’t go wrong with hardwood planks. Durable, well made, and versatile, this flooring option will never go out of style.